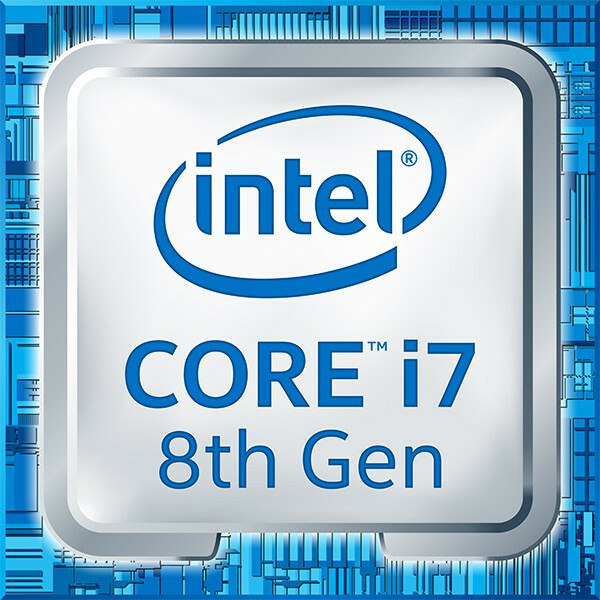 The Intel Core i7-8700K is a high-end desktop processor with six cores based on the Coffee Lake architecture and was announced in September 2017. The processor clocks at between 3.7 and 4.7 GHz and can execute up to twelve threads simultaneously thanks to Hyper-Threading. According to Intel, the CPU is manufactured in an improved 14nm (14nm++) process. The i7-8700K is comparatively easy to overclock thanks to the unlocked multiplier. Due to the two additional cores, performance has increased by almost 50% compared to the Core i7-7700K when all cores are in use. Single-core performance has not improved since its Kaby Lake predecessor. As a high-end model, the i7-8700K is suitable for the most demanding applications and games. The integrated Intel UHD Graphics 630 iGPU is supposed to offer higher performance as its clock rate has been increased by 50 MHz. The build is identical to that of the Intel HD Graphics 630. We do expect a performance improvement, but as a low-end solution it will probably only display current games smoothly at reduced details - if at all. Intel specifies the TDP with 95 watts. Therefore, well-dimensioned cooling systems should easily manage to deal with the created heat. We expect increased efficiency due to the higher performance.